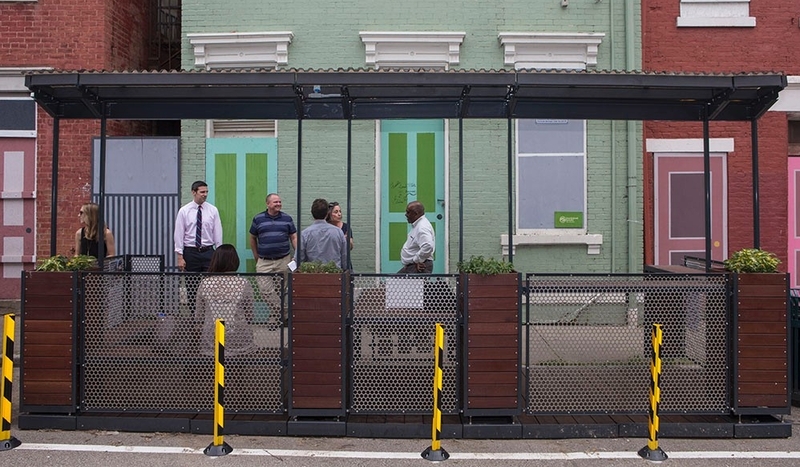 UC's Pleasant Street parklet represents a silver lining. At the risk of sounding like a clichéd start to a melodramatic tale, it was a dark and stormy day. 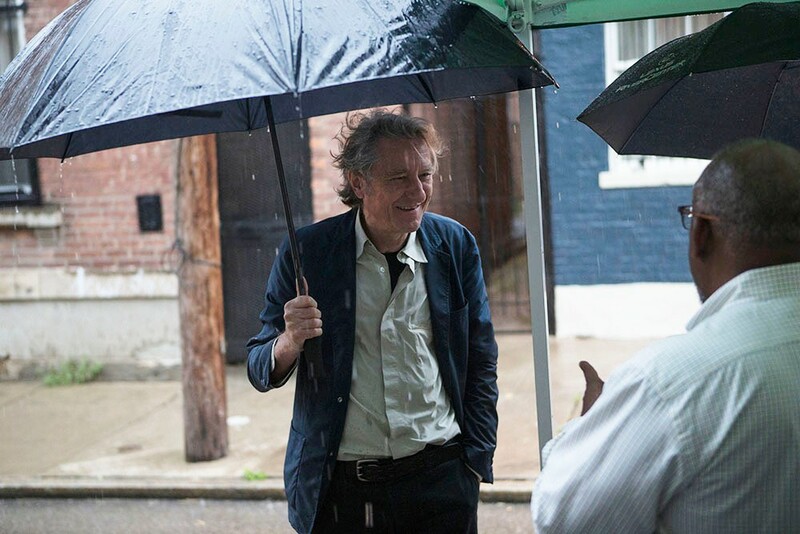 The humidity rose and dark clouds tumbled across the sky on the afternoon of July 8 as Michael Zaretsky, University of Cincinnati associate professor and director of the university-based design-build program MetroLAB, prepared for the grand opening of the Pleasant Street parklet in Over-the-Rhine (OTR). 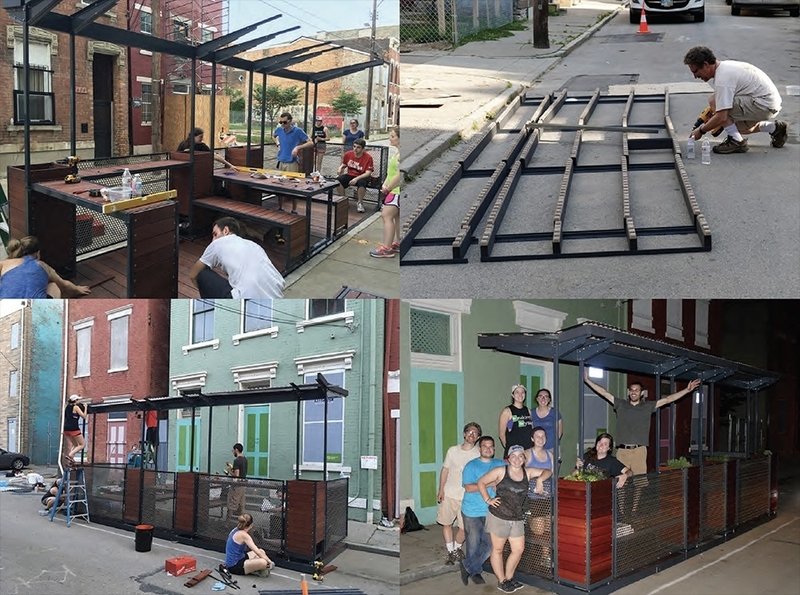 While thunderstorms aren’t typically ideal for outdoor public events, the gloomy weather only helped illustrate the goal behind the parklet — a tiny public “park” that acts as a sidewalk extension, often occupying part of a street’s parking lane — constructed by UC students through MetroLAB. Parklets can take many forms — green space, a miniature beach, bike parking, a sitting area or live performance stage. They can exist for just a few hours, like the pop-up parklets that aim to revision urban public space during the worldwide event known as PARK(ing) Day, or several months, like the ones recently installed in Covington, Kentucky, through the city’s Curb’d project. Parklets can take many forms — green space, a miniature beach, bike parking, a sitting area or live performance stage. They can exist for just a few hours, like the pop-up parklets that aim to revise urban public space during the worldwide event known as PARK(ing) Day, or several months, like the ones recently installed in Covington, Kentucky, through the city’s Curb’d project. 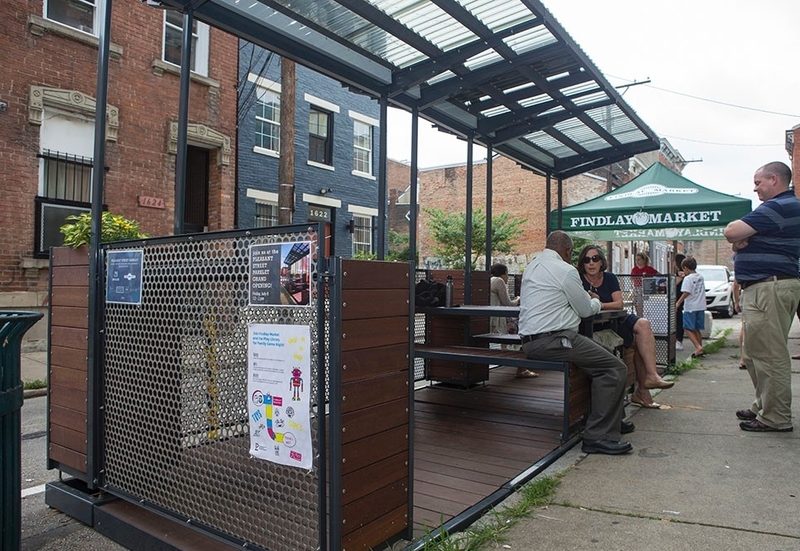 The kiosk-like structure on Pleasant transforms part of a street once occupied by metered parking into a community gathering space where children can play and adults can meet their neighbors, sit and enjoy a meal from Findlay Market or simply access shelter from the rain. There’s something idyllic about the notion of a miniature public park, but on a stormy day, after a tumultuous week for the country that included the violent deaths of both civilians and police officers, that’s just what people needed: something tangible to inspire hope. The idea of community is something that has driven the project since the city first passed an ordinance allowing for parklets in 2013. MetroLAB was established at UC in 2011 with a focus on three principles: Learning through the process of making; applied design research and innovation; and community engagement and impact. 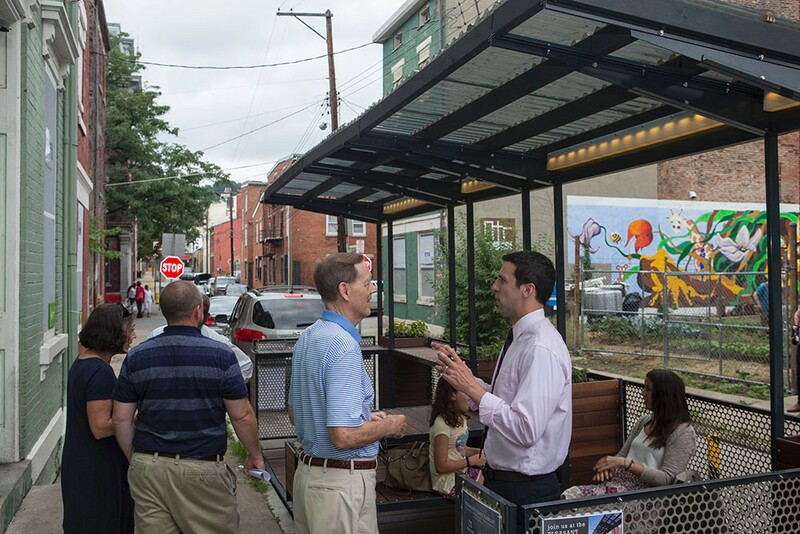 With those goals in mind, 14 students from a MetroLAB graduate architecture studio and classes within DAAP’s schools of Art and Planning set out to transform Pleasant Street into a more pedestrian-friendly corridor between neighborhood hot spots Findlay Market and Washington Park during summer 2015. Zaretsky and these students worked with the Corporation for Findlay Market, Cincinnati’s Department of Transportation & Engineering, the Carol Ann and Ralph V. Haile, Jr./U.S. Bank Foundation and its philanthropic lab People’s Liberty to get the idea off the ground and onto the pavement. 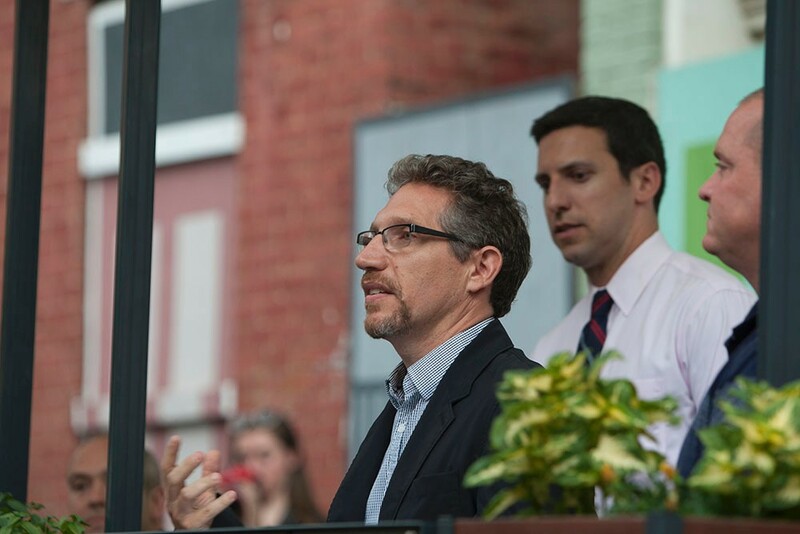 After a series of community engagement events with project prototypes, where the group met residents and received feedback about what the people of the neighborhood want and need the most, the group settled on a final proposal for a parklet located at 1623 Pleasant St. The structure was constructed off-site in spring 2016. 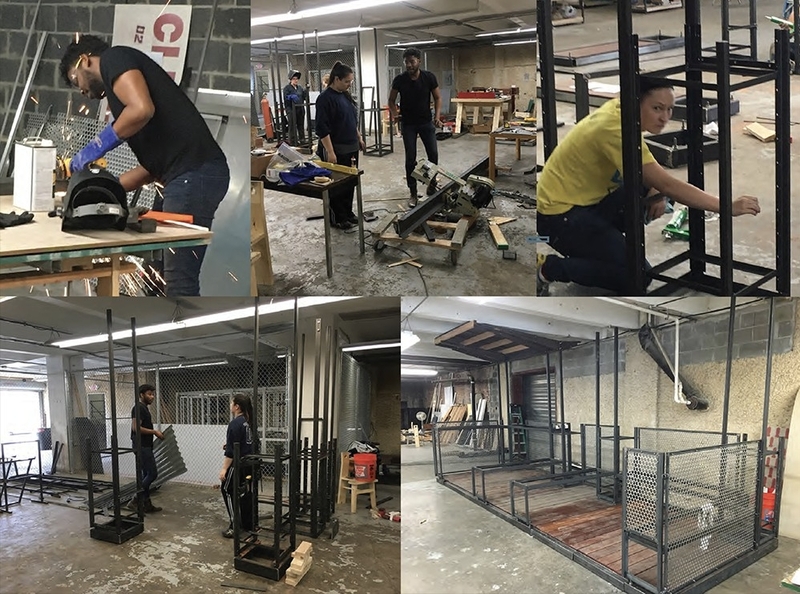 After departing for co-ops, many of the students returned once again on Memorial Day weekend to complete the project. “It really shows their commitment, love and passion for this project, which is great to see,” Zaretsky said. Installed on May 29, it was formally opened to the public on July 8 with speakers including Zaretsky, city councilman P.G. Sittenfeld, Findlay Market president Joe Hansbauer and People’s Liberty CEO Eric Avner. 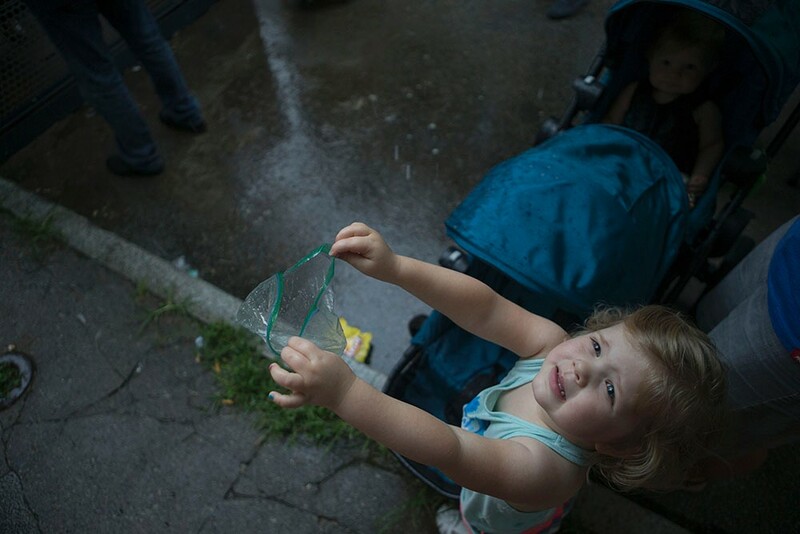 Chips, water and ice cream — three items specifically requested by the community — were served at the event. Zaretsky mentioned that residents had already gotten acquainted with the space, and it’s become the spot to play chess. And unlike other similar projects in the area, there are no plans to remove this or place it into storage during winter months. The beautiful wooden patio features seating and tabletops, planters with various greenery, a spinning tic-tac-toe panel seen in many playgrounds and a roof with solar-powered lights that illuminate the area at night. The parklet’s capacity was tested that day when around 20 people sardined under the awning for shelter from the pouring rain. 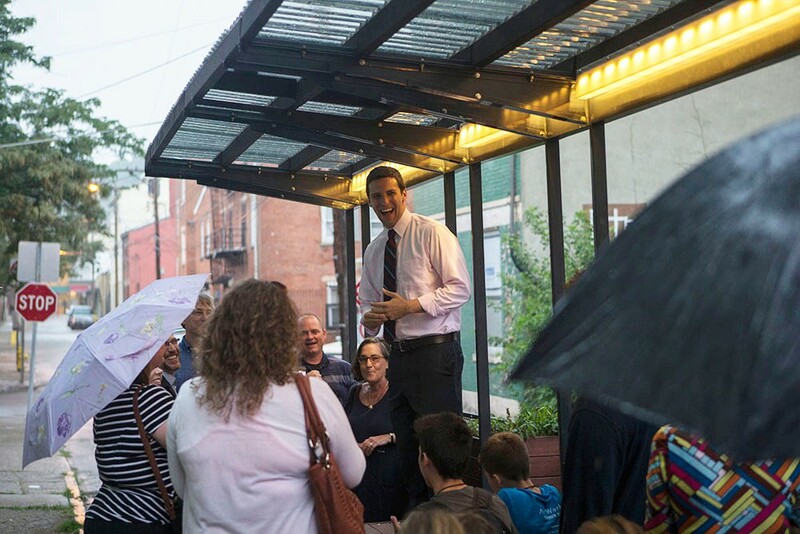 “On behalf of the city, let me be the first to say that the parklet has been tested and it has proven itself here today,” quipped Sittenfeld as he stood on a bench to make more room for the small crowd. This portion of Pleasant between Green and West Liberty streets offers few signs of gentrification like the expensive condos or trendy restaurants seen in other parts of OTR. The parklet is a symbol for many of the longtime residents who remain despite the rebuilding that they, too, can be part of the positive changes happening in the neighborhood. “The last 48 hours have been really, really rough for the country,” said Sittenfeld, echoing Zaretsky’s sentiments. “They say that if you can change a city, you can change a state and if you can change a state, you can change the country. And the truth is, and what I think this is evidence for, is that it’s even smaller than that: You can lift up a neighborhood if you can lift up a street. You can lift up a street if you can lift up even a portion of that street. And while the country continues to experience turmoil and division even after that difficult week, a pleasant safe space in OTR remains open to all.